Using Piranha paper with Piranha and Piranha NexStrip Paint removers will increase application dwell time and significantly enhance chemical paint removal by preventing the paint remover from evaporating and drying out prematurely. Further, Piranha Paper helps to ensure direct contact between the Piranha paint remover and the underlying substrate. Cover Fiberlock Piranha or Piranha NexStrip paint remover with Piranha Paper. When applying outside note that high winds can pull the paper off the substrate. Working from the center smooth the Piranha Paper by hand, with a paint roller or other suitable means. Label the paper with the product used, application date/time and basic precautionary information. After appropriate application dwell time remove paper with a scraper. 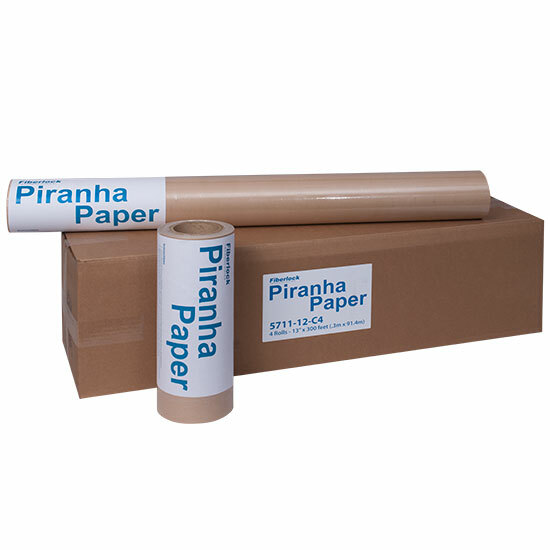 Piranha Paper is designed to extend paint remover dwell times up to and beyond 72 hours in most environments.